Michigan is an opportune state for those educated in software engineering, computer science, software development and computer engineering. University of Michigan - Dearborn offers the only ABET accredited bachelor of science degree in software engineering in the Michigan. Check out the article: UM-Dearborn’s Software Engineering Program Fosters an Innovator Class. 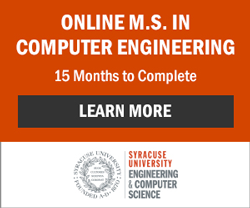 There are additional accredited schools offering undergraduate degrees in software engineering that can be found listed below. Undergraduate online software engineering degrees are also an option in Michigan. The job market for software engineers, computer engineers, software developers and computer scientists is quite good according to data provided by the Bureau of Labor Statistics and job growth in these fields is projected to grow through out the next decade. Meaning now could be a very good time to be exploring your educational opportunities in software engineering and related fields.